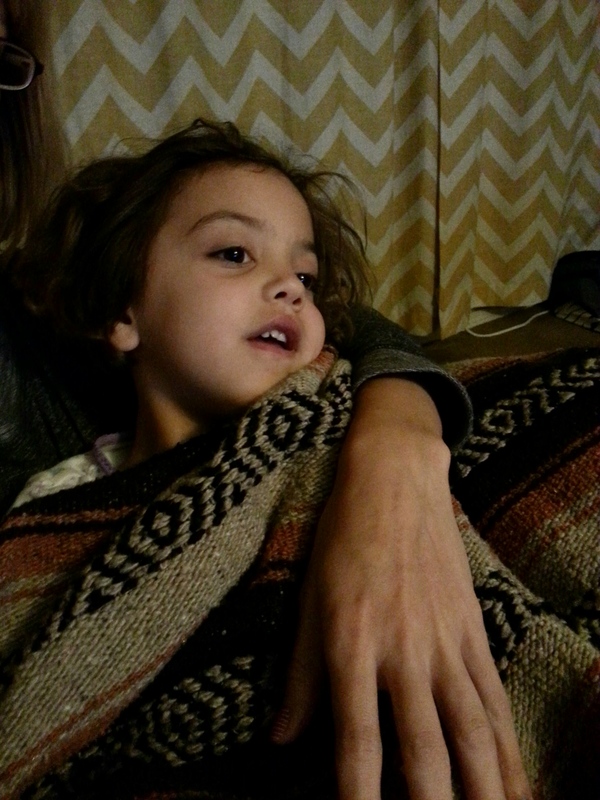 -Sky “Mommy I need cuddles, if we don’t cuddle my heart will be sad”. So we cuddled. This kid is fueled by cuddles! P.S. ignore my huge hand…ok thanks. 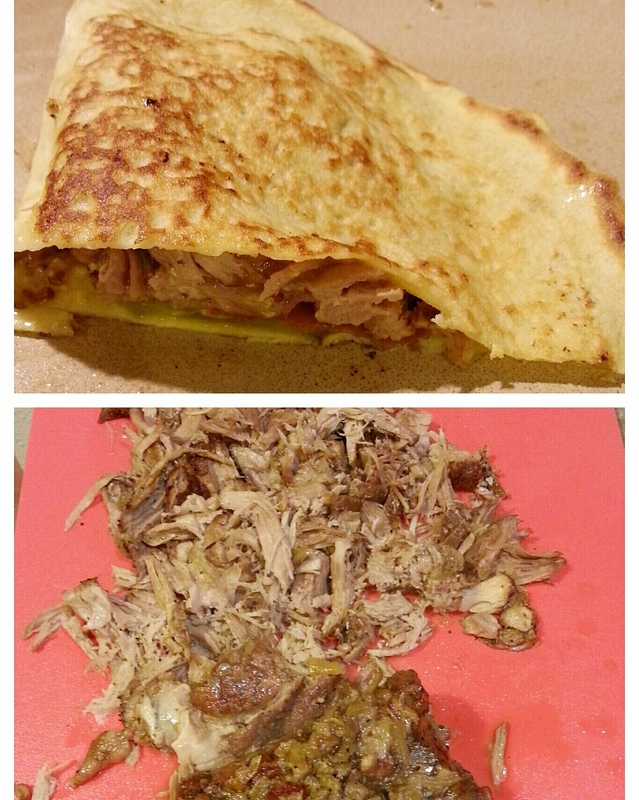 -New recipe success….Cuban Pulled Pork Sandwiches, made with GF/Dairy Free wraps, paleo sauce, and all sorts of yummy! Slow cooker pulled pork Cuban sandwich. -Thankful that while I didn’t love Whole30 it has opened me up to new recipes and to eliminating a few things that were upsetting my system, and I didn’t even know it. I honestly feel the best I have in years! 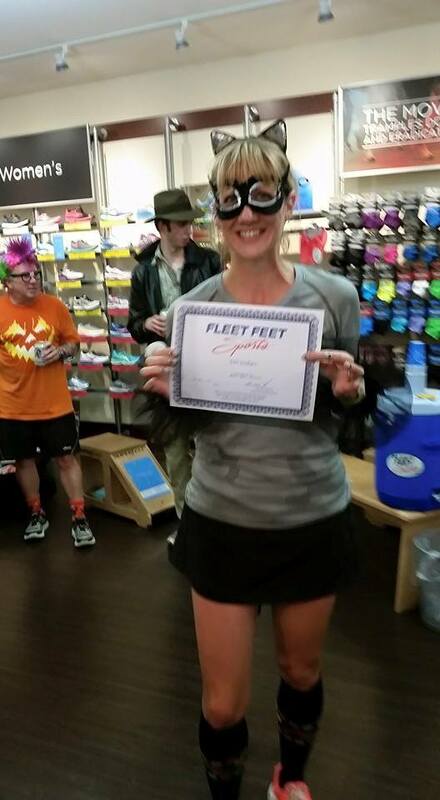 -Winning a Gift Cert from Fleet Feet…now what to get?! -Halloween, mostly so Sky can finally wear her costume and maybe stop talking about it every. single. day. -Cozy pj’s, slippers, blankets, books, and wine. My prefect day = pj’s all day long, not leaving the house, reading a good book, and drinking some amazing wine. I don’t get to spend days like that any more, but I do manage a few hours here and there, and am thankful for it every time.